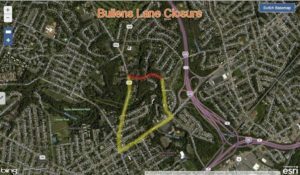 Aqua Pennsylvania is planning to close Bullens Lane between Route 320 (Providence Road) and Bullens Lane in Nether Providence Township, Delaware County, beginning Wednesday, April 10, for water main installation, the Pennsylvania Department of Transportation (PennDOT) announced today. Weather permitting, the closure will be in place weekdays from 9:00 AM to 3:00 PM through late May. 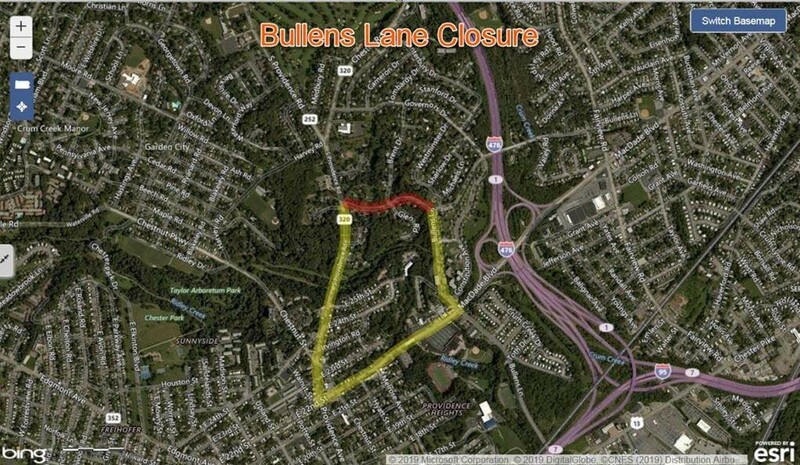 During the closure, Bullens Lane motorists will be detoured over Bullens Lane, Irvington Lane, MacDade Boulevard, 22nd Street and Route 320 (Providence Road). Local access will be maintained up to the work zone.